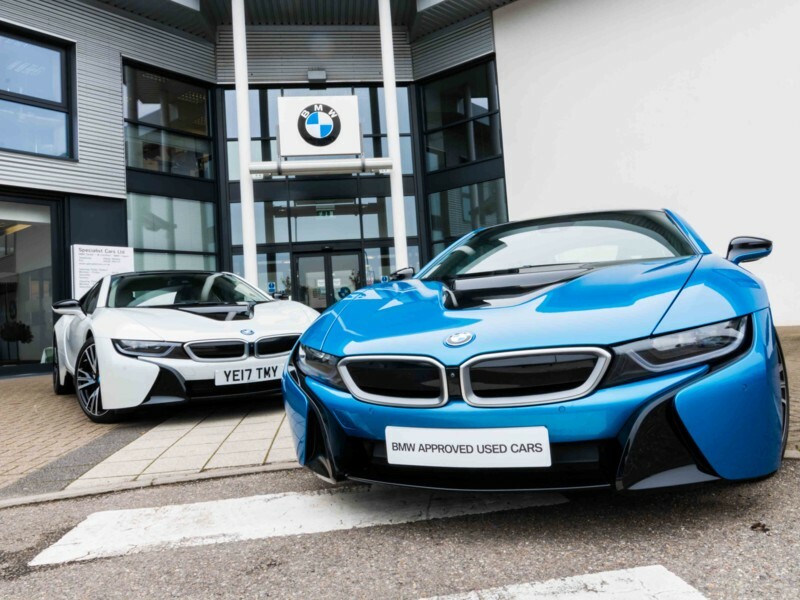 The BMW i8: A Used Reality? To be clear from the outset, I love cars. I love engines I love speed, I’ve never had a kelp smoothie, I don’t consider myself an ‘eco warrior’, but I love the BMW i8. There has been a change with hybrid cars: there are now some that petrolheads like me want to drive and I'm willing to bet you really want to drive an i8. This used Protonic Blue example has since popped up in our classifieds. Now I’ve not taken leave of my senses. I am well aware it’s still a significant amount of money – however, this is a hell of a lot of car when you consider it was over £110k new! Believe it or not the BMW i8 has been with us since 2014. It launched and immediately ignited the motoring columns with positive reviews, even causing Jeremy Clarkson to declare that he would choose one over a new M3. You might think that over the three years since launch the fever would have subsided. Well, here at AnyM we can tell you that it hasn’t. We have had one on loan and it still stops people in their tracks. The difference is when people see a Ferrari they look to see if a celebrity is driving it – whereas with the i8 the car is the celebrity. It does draw attention but the car is the star, you don’t need a wardrobe makeover every day before driving it. The i8 hasn’t aged a day and still looks as fresh now as it did at launch – in particular those optional 20-inch W spoke wheels. The only thing that has changed is that they are now considerably more affordable and therefore a very interesting prospect. This is a mid-engined, carbon composite, all-wheel drive supercar botherer. If we revert to our younger selves in short trousers back at school playing top trumps, the i8 really doesn’t embarrass itself. 0-60 comes around in 4.4 seconds, top speed limited to 155mph, cool factor 10+ and innovation 10+. Also don’t forget this is a low production, first of its kind model, strong residual values are likely to be a factor here. Out on the road it feels every bit a BMW. The electric motors work in unison with the turbocharged engine meaning that any lag from the turbo is eliminated entirely. In ‘sport’ the dials change to glow red and coupled with the head-up-display they really spur you on to confuse Greenpeace. Whilst in sport mode the batteries are being charged – so the fear of needing to run out to the car in your dressing gown at 4am because you forgot to plug it in…..again has been eliminated. The reality is that you will be totally hooked to sport mode and so charging as you drive. Trust me, it will hook you. Folks down the pub have 2 go to “facts” about the i8. They take great pleasure in telling you; they anticipate your little world will shatter at the news and your car will be sold the very next day. Firstly, they say that the engine noise gets played through the car’s audio system. But do you know what – I rather like it. It sounds great in fact, uncontrolled smile-inducingly great. Secondly, you’ll be hearing the real world MPG doesn’t come anywhere close to what is stated in the sales brochure (134.5 combined). Well no, in our experience it doesn’t, but show me a car that does. What we found combining commuting and enthusiastic driving we saw an average of 40mpg; but it did shoot up as high as 99mpg when balancing the electric motors with the conventional engine. But also don’t forget you can have 20 miles of range purely on electric power; let me see your 911 do that. Despite the aerodynamic swoops here and winglets there, it is a lesson in elegance. I found a beauty to it when in full electric mode as it drove past me completely silently – I shouldn’t be saying this: I like V8s, 99 octane, and spark plugs – but I am. So leave your preconceptions. Stop comparing it to what you are used to – it’s nothing like you are used to. To get these looks and this level of performance all the while having 4 seats, isofix points, MPGs that have to be seen to be believed, and the peace of mind knowing that this one has BMW warranty and a service pack. The i8 really is in a field of one. A used reality? Check out the classified ad.